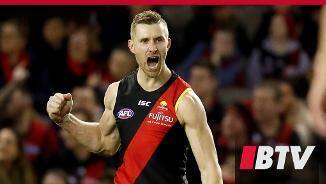 Shaun McKernan will be pushing for selection when the Bombers take on West Coast after the bye. 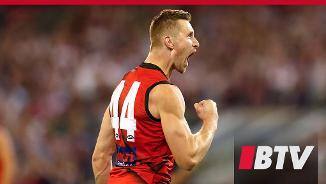 Essendon’s High Performance Manager, Justin Crow, is happy with the progress several injured players have made over the last few weeks. More good news for McKernan who has been nominated for the Weet-Bix Mark of the Year. Powerful tall who broke through for his most productive season at the club in 2018. 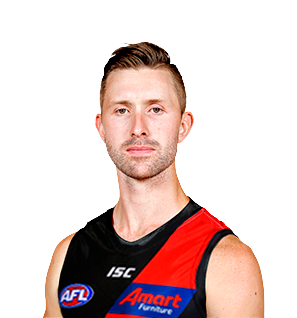 McKernan played an important role in the team’s improvement during the season, using his size and strength to great advantage and helping fill the void left by star forward Joe Daniher. He booted 16 goals from just 10 games before unfortunately suffering a season-ending hamstring injury. 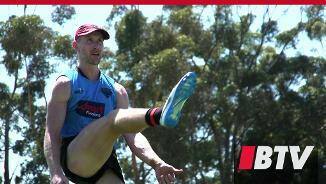 Whether patrolling in the forward line or competing well in the ruck, McKernan will always make his presence felt and will be an important asset for the team in 2019.